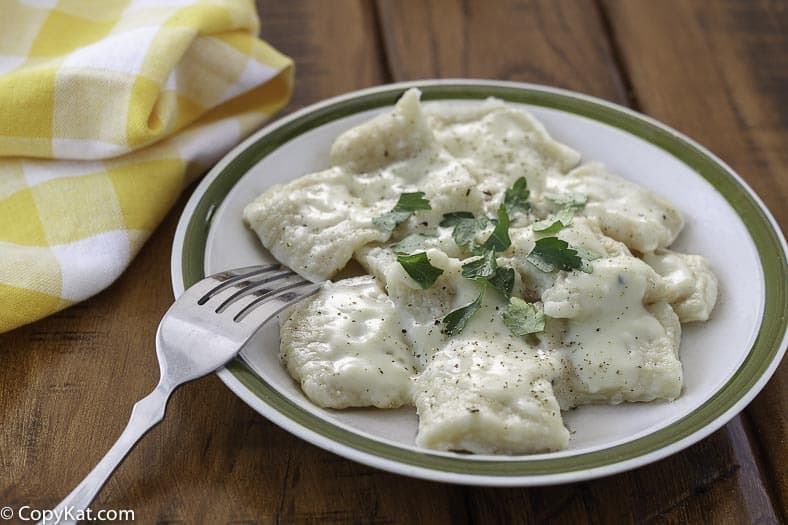 Try Making Delicious Cracker Barrel Dumplings at home. Who doesn’t love a bowl of piping-hot Cracker Barrel dumplings? These pillows of starchy goodness so often hit the spot when you are looking for something that makes you feel full and warm. Interestingly, these are actually served without chicken at the restaurant when ordered as a side dish. If you like, you can add some cooked shredded chicken and have your own homemade chicken and dumplings. These aren’t difficult to make, and they can be put together rather quickly. This side dish doesn’t require a lot of different ingredients that you may need to go out and buy, but rather it has a lot of ingredients you already have in your pantry. So if you are looking for an easy side dish from ingredients you already have on hand, this may be the right one for you to try. This recipe is intended to be a side dish, so there aren’t a lot of extra items in here. This is a meatless recipe. So if you had some leftover cooked chicken it, this would be a great addition to add to the recipe. After this recipe was developed, I switched to using soup bases over boullion cubes. It is my opinion that the soup base tastes better, it is a fact they often have less sodium. So it is now my preference to use soup base in place of boullion cubes. 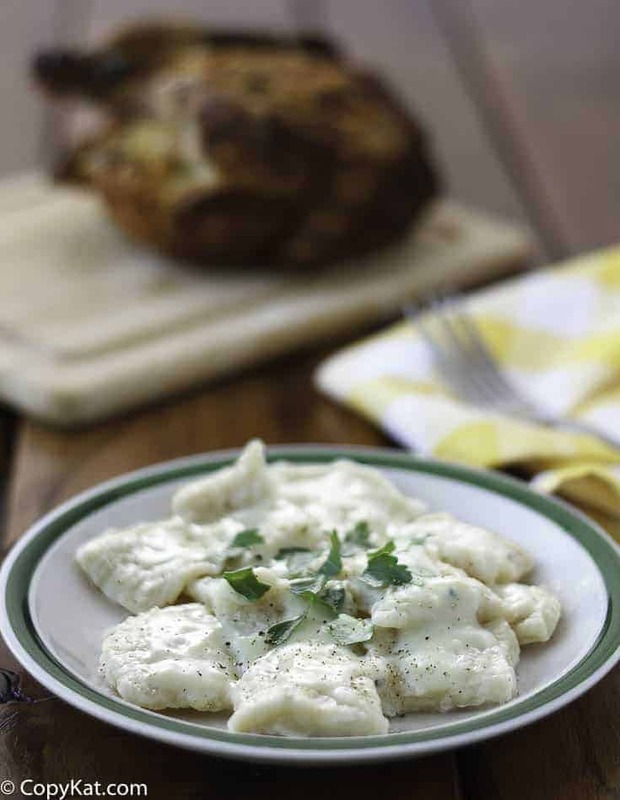 Cracker Barrel Dumplings can be made at home and they will taste so good. Dumplings Mix the flour, baking powder, salt, milk, and oil, blending well, and turn out onto a floured surface. Knead four or five times. Divide the dough into two pieces. 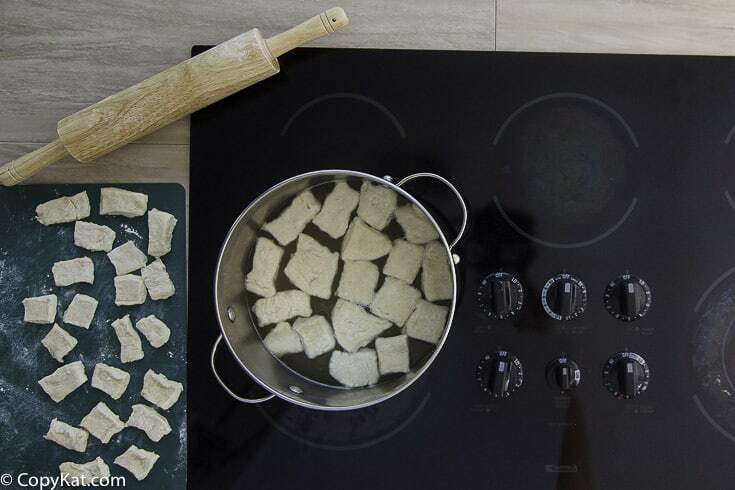 Roll out one piece to 1/8-inch thick and cut into 1 x 1 1/2-inch dumplings.In a large saucepan, combine the water and bouillon cubes/soup base. Boil until the bouillon cubes/soup base dissolve. Cook half of the dumplings until just about done; dumplings are done when they float up towards the top of the pot. Use a strainer to remove them to a bowl and set aside. Finish the other half of the dumplings in the same way. Reserve the cooking liquid. Sauce While the dumplings are cooking, you can start to prepare the sauce. Melt the butter in medium saucepan. Add salt and flour; stir until thick. Mix the sugar with the milk and add to flour mixture a little at a time, stirring constantly with a whisk until thick and smooth. Remove from heat. Add the cooked dumplings to the sauce. Dissolve the crumbled bouillon cubes in 1/2 cup of the cooking liquid and stir gently into the sauce and dumplings. Return to low heat and simmer until blended. If the sauce seems too thick, gently stir in a little more cooking liquid. I forgot to mention when you roll out the dough that you need to roll them out flat as possible. The recipe says 1/4 inch. When dropping into the chicken stock, put a little at a time and stir, do not put all of them at once , they will stick together and you have one big lump that is raw in the middle. As a former C.B. employee that made these countless times I can tell you the 3 ingredients to this recipe. Self rising flour, shortening, we used the brick and buttermilk. It is that easy. I can’t tell you the amounts because I made them in large quantities. 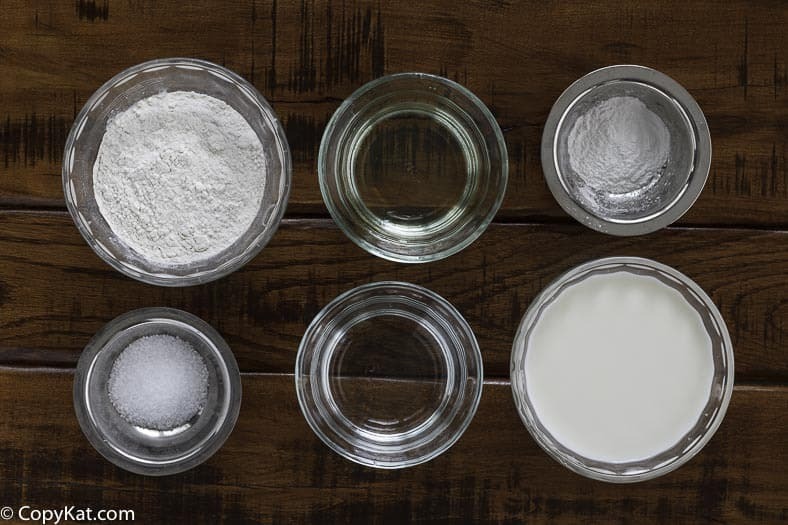 Put ingredients in a mixer and mix tell the mixture until all is bound. Put the mixture on a floured table and cut with a sharp knife. We had a special instrument that cut the mixture in equal squares. Drop into boiling chicken stock. You will know when they are done. They usually flow to the top. Hi! I’ve made these before and we all love them – yummy!! Has anyone tried freezing them so you can just pull them out last minute for supper?